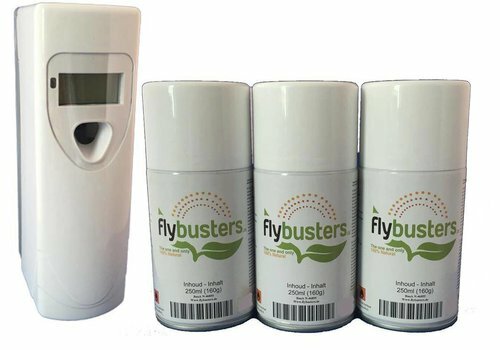 A safe and effective anti-fly system with an automatic and adjustable dispenser (day/night and intervals of 1-60 minutes) and a powerful natural substance (Pyretrhum) for eliminating annoying musquitos, wasps and flies. 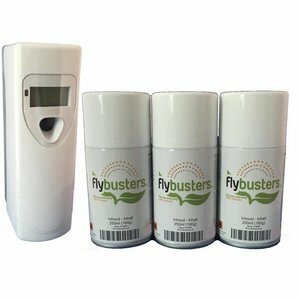 The substance is harmless to humans, animals and the environment. 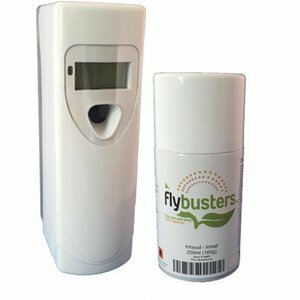 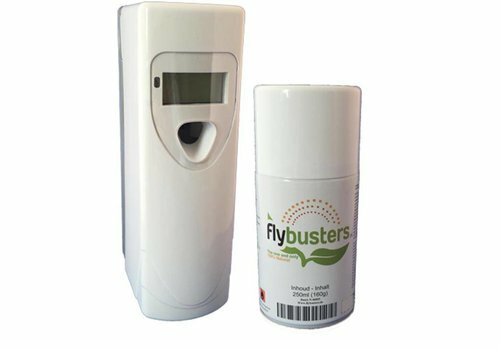 Flybusters is suitable for small spaces like livingrooms, bedrooms, kitchens, terraces, caravans, tents, cages, dogkennels et cetera.